The topic of using a double bass pedal with electronic drum sets comes up quite frequently. 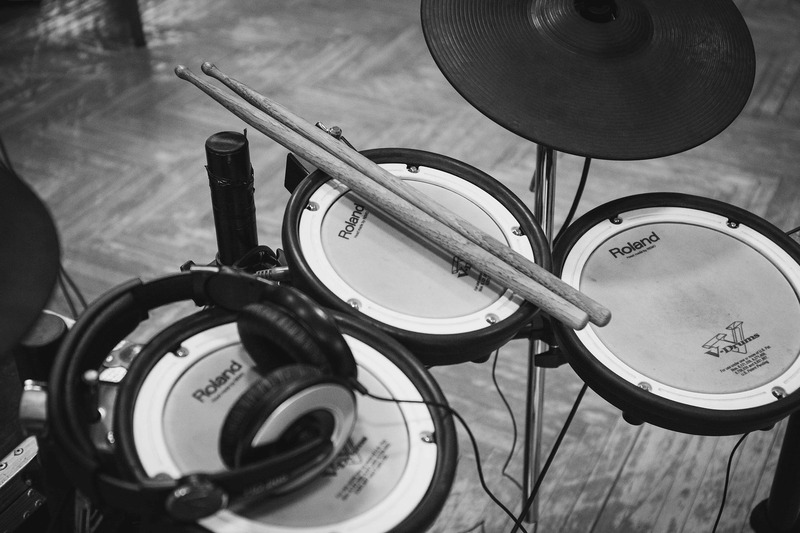 It can be difficult to find out information online about what electronic drum kits are compatible with these. It’s quite simple. All you need is a big enough kick pad that can support two beaters and a double bass drum pedal. Then you’re good to go. Whether you’re adding a double kick pedal to your existing kit or buying a new double bass electronic drum set entirely, this article is for you. Why use a double bass drum pedal? 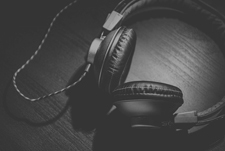 Multiple kick pedals are very popular amount numerous styles of music, particularly metal and more complex drumming for alternative styles of music. If you get a decent kick pedal, the feel of these is broadly the same. Please note: Most sets do not include double bass drum pedals. These need to be purchased separately. If you got a pedal with your drum set, it’s likely a single one. This contains one pedal and one kick. I would highly recommend that you invest a decent sum of money into your double kick pedal. My first double pedal was a very low budget one, and the quality of the left pedal was simply not up to par with the right one. You really want to make sure that the secondary pedal is extremely smooth. Otherwise, it can be very frustrating, and you would simply not be able to get the speed and response required. A great option is the Tama HP200PTW Iron Cobra 200, this is relatively cheap and comes from a really respected brand in this area. Some more good news is that double kick pedals are almost always compatible with electronic and acoustic drum sets. What type of beaters should I use? This depends on the type of kick pad you own. Plastic beaters should ideally be used for mesh kick pads (such as those from Roland). 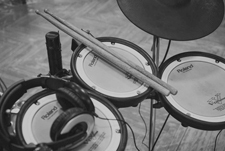 Otherwise, you can use either plastic or felt heads on rubber drum pads. That’s a matter of personal preference. Many drum beaters have both a felt side and a plastic side. You can just simply switch them around. Your current bass drum pad might already be large enough to accommodate a double bass drum pedal. If not, then check out the options below. All of these are large enough to accommodate most double kick pedals. These kick drum pads will work for both electronic drum sets and drum sample pads. Many kick pads already support double bass drum pedals. You just need to make sure that the kick pad is wide enough for the two pedals. 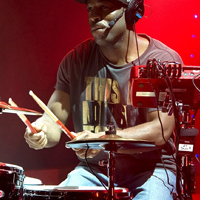 The drum modules on some cheaper and older electronic drum sets sometimes cannot register fast double kick strokes. This could make your kit unusable for the purposes of double bass drumming. Check out reviews and forums beforehand for your exact drum set model before you consider upgrading your kick drum tower. The Yamaha KP65 is a nice cheap option. The pad is not very wide, but it works with most double bass drum pedals. I used one of these for quite a few months when I was on the road. It’s nicely responsive and works exactly as expected. It contains a rubber pad. I personally used this with felt beaters, as it’s a bit quieter than using the plastic ends. However, if you have more money to play with then a larger kick pad would be a better option. Another option is the Roland KD-9. This is a bit more expensive than the Yamaha, but it’s really good and it’s considerably quieter. 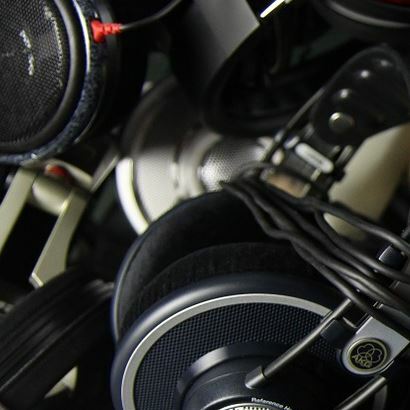 This is because its head is cloth/mesh type material which does not output as much sound. I’d recommend using plastic beaters with these. 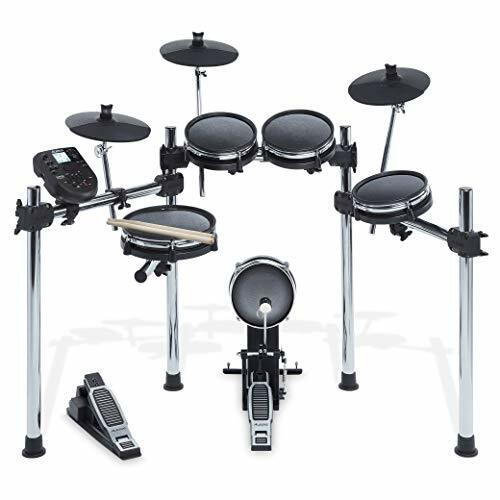 The KD-9 is quite common to find on mid-range Roland electronic drum sets. My last recommended option is the Roland KD-120B V-Kick Trigger Pad. This is a high kick pedal which contains Roland’s full mesh head design. It’s a fantastic option if you have the budget, and it’s the largest of all of these kick pads, so it’s definitely big enough for double bass drum pedals. Roland recommends not to use felt beaters on their mesh kick pads. This is because the felt could wear out the mesh, or vice versa. Plastic beaters work nicely on these pads. Yes, kick pads are very standard. I’ve mixed and matched a few of these myself. 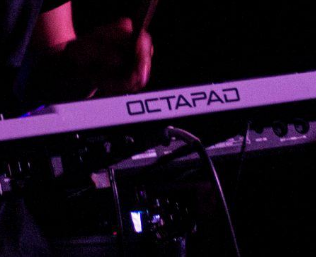 For example, I used the Yamaha KP65 pad quite a lot with my Roland v-drums. I can’t possibly explain the joy I felt the first time I got my hands on a double kick pedal. I could finally start to properly jam and practice songs by some of my drumming heroes. So of course, the first time you start using these, you’ll try to get as much speed and sound as possible out of them. However, after that, it’s worth taking a step back and starting from the basics. A local drumming instructor once gave me a valuable piece of advice regarding using a double bass drum pedal: “Learn to walk before you run”. If you want to get good at using 2 kick pedals, you should practice your technique and independence gradually. This should be in a similar way to the method by which you improve the strength and independence of your hands. 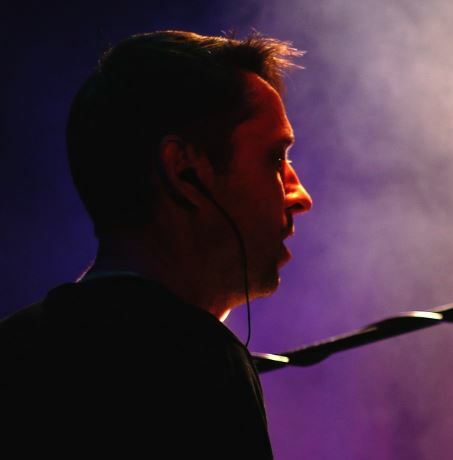 Check out this great short video from Aaron Edgar demonstrating some easy double bass beats. All of these are also applicable to electronic drum sets. Another very useful advanced double bass drumming method is the heel-toe technique, check out this great video by Derrick Pope if you’re interested in learning this advanced technique. What’s my favorite song that uses a double bass drum? I used to be a big metal fan when I was a teenager. The Slayer song, “raining blood” has a fast double bass drum solo that I think influenced a whole generation of young drummers to get a double pedal. Also, some iconic beats from Metallica’s song ‘One’ always spring to mind. Neither of these are the best or most complex use of double bass drums, but they are always the ones that spring to my mind first as some of my favourite oldies. However, it’s not just metal genres that use double pedals. For example, the great drummer Dom Famularo makes great use of a double bass drum pedal. I hope his article has cleared things up regarding using double bass pedals for your electronic drum set. Be sure to ask if you have any questions. You’re very welcome Lani, glad I could help! FYI, Some people manage to get a double bass pedal working with their current Alesis Kick towers. I know they’re quite small, but if you have a double bass pedal where you can get the beaters quite close together you might be able to play around with the sensitivity settings a bit. Otherwise, if you do have the budget for it, upgrading the kick tower to something like the KD-9 would still be a better option, particularly for better sensitivity. I’ve still yet to try out the SD350 actually, it could be a good option but its reviews are quite mixed. I think it has a standard quarter inch cable leading into the kick so you should be able to replace the kick tower. For the SD350, you’ll definitely need to get another pedal if you’re going the double bass route as that’s a single integrated pedal and it would likely be a bit clunky anyway. It might be worth checking up some video reviews of that simmons kit. Cheaper mesh heads might not be as quiet as the more expensive ones like the Roland VDrum mesh heads. Hi, I have a Alessis mesh and I am planning on getting the Tama HP200PTW Iron Cobra 200. You mentioned some kits are slow in registering the hits. Do you think the Iron Cobra 200 will work well with the Alessis kit considering that it’s a mesh kick? I am new to this and have not used electronic kits before. I recently got this one and I am learning how to set it up. Do you think we can connect more electronic cymbals to the kit? Hi Rohit, although the Nitro Mesh definitely wasn’t designed for double kick, I think the module can handle them fairly well. Though the kick tower is small enough…. You might have to tweak the sensitivity a bit. Tbh, some people are ok with the experience of using the stock kick pad for double pedals, others not. Alternately, you can change the hi-hat to a bass drum sample, though it’s not the smoothest option. There are two options on the back to expand the kit… An additional crash and an additional tom. Any pad or trigger should work no problem with them. Hello, I’ve been scowering the internet trying to find a solution to a problem I’ve recently ran into. I purchased a medeli DD 403 two to three years ago and decided to upgrade to a double bass set up. 2 weeks ago, I found a nice PDP pedal set up, and made a quick decision to buy it, thinking I would just need to purchase a tower afterwards to complete my set. I immediately jumped online and ordered the KP 65 Yamaha kick tower and within 2 days the kick tower arrived. At this point, “obviously not thinking through this logically” I realized my medeli wasn’t set up to accommodate the KP65. 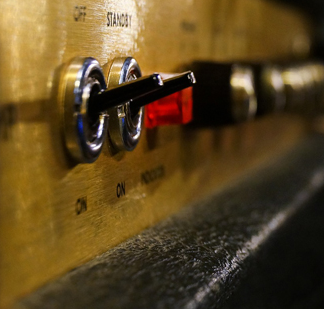 The Medeli comes with a pedal that triggers the sound. It has a small cable that plugs into the module..KP65 has a larger cable and no power source separate from the Yamaha module it is made for , I’m assuming…Is it possible to modify these peices to use them together, or did my excitement and ignorance in not researching the issue first, get the best of me. I would greatly appreciate your wisdom on this subject… Thanks a million! Brad S.
Hi Brad, could you take photo of the wire connection to your kick pedal and link it here via tinypic.com or something similar? Is it detachable? I think there are different versions of that model, and it will help me better answer your question. Hello again, thank you so much for the response..sorry about the delay in answering… I didn’t realize you had responded until this morning. The model is medeli DD 402 , it is a detachable single piece pedal. The cable that connects to it is small., and the opposite end runs to a bundle that plugs all pads into the module at one location. There is an auxiliary in on back side of module as well. Sending pic of the back of the module, along with the end of the cable that inserts into the pedal. Helli, this is Brad S. Again. I realized I put the wrong model number on my previous post. 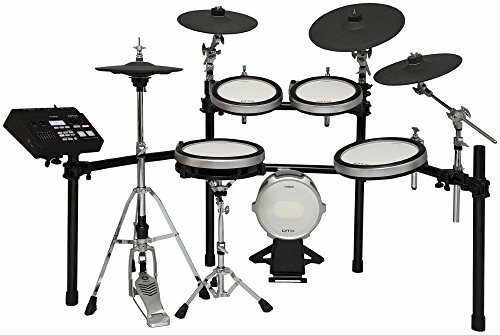 The e-drum set is a medeli DD 402. sorry for any inconvenience this might have caused thank you again so much for your help. to a 1/4 inch connection (https://amzn.to/2NJWV9a)… These are handy little items to have anyway. There still could potentially be issues but it’s worth a try! Hope this helps – Mike. Hi. 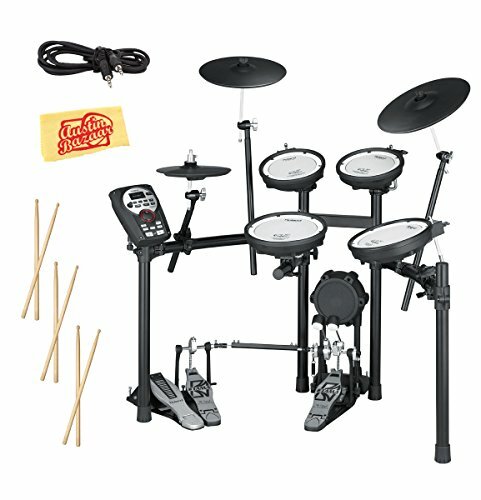 Can I connect double bass pedal onto Alesis Burst Kit? My son has the Roland 11-k, and was wanting a double bass for it. Is this possible and what do you recommend? I see Roland has a brand new double bass, I wasn’t sure if that was overkill or would fit. Hi Katy, the Roland TD-11-K uses the KD-9 kick pad, which fits most double bass drum pedals, so the good news is that you don’t need to get a Roland specific one for this at all. I’d recommend getting one that’s at least as good quality as the Tama HP200PTW that I wrote about in this article, because very cheap or low quality double kick pedals can be very frustrating to play. Thank you for the quick reply. His budget is $300 for Christmas so we can spend up to that. I know nothing about these, so if you have a specific one you love, let me know. Thank you! The Tama HP200PTW Iron Cobra 200 is a really nice option. You would still have plenty left in the budget and Iron Cobras have had a very strong reputation among double pedals for many years . You could also consider the Tama HP600DTW Iron Cobra Double Pedal (here’s a link to it: https://amzn.to/2r2xbqw), which is a better version, and it should come in under your budget, so I think that would be a great one to get. Apologies for the delay in responding, I’ve been getting a lot of junk messages recently so I didn’t spot this! Hi there, firstly thank you for taking the time to write this very informative and well written article. 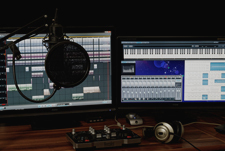 Hello, after searching the internet for some info about double bass upgrades on electronic drums i am happy to have found your article, it’s very informative. 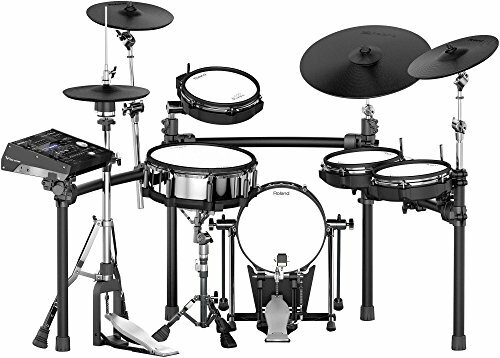 I am planning to purchase the Alesis Turbo Mesh kit and upgrade it with the Roland KD-9 and a Tama double bass, if you can please give your opinion on whether it will work or not. Hi Ian, we haven’t tried the Alesis Turbo mesh module with a double kick unfortunately, but you should be able to swap out the Alesis kick pedal with a KD-9 as it should use the same audio jack connection. Two potential issues… if the module can’t handle a lot of kick strokes in quick succession, and if the sensitivity is too low for the kick pad. The only way to know it out is test it, because it’s not an officially supported feature by Alesis on this kit. One thing you could try is to connect the kick drum cable into another pad (e.g. the snare drum pad) and try to do fast strokes with your sticks, that’s one way of testing it!